Stream and listen to our webinar on Mode of Action studies! 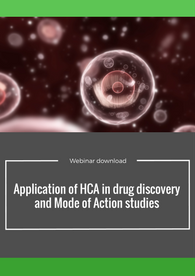 Rosaria Remelli, Molecular and Cellular Pharmacology research expert, discusses the application of HCA in drug discovery and Mode of Action studies. High content imaging (HCI) offers a robust, high throughput analysis of large numbers of cells with the benefit of the spatial and temporal information obtained with fluorescence microscopy. This webinar provides an overview of the advantages of HCI-based over the more traditional, homogenous assays, and how this technology is being applied at Aptuit for drug discovery purposes. Two case studies will be presented of HIC-based in vitro models for idiopathic pulmonary fibrosis, a chronic, progressive interstitial pneumonia with limited therapeutic options. These assays, both based on human primary lung cells, can be applied for target-based or phenotypic-based approaches, providing an invaluable tool at various stages of the drug discovery process. Rosaria is a principal scientist with more than 15 years of experience in in vitro pharmacology and cell biology. Rosaria’s core areas of technical expertise include development of cellular and functional assays for GPCR and neurotransmitter release, and high content based assays for neurodegeneration and respiratory diseases. 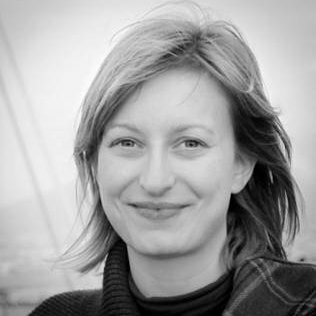 Rosaria graduated in Biotechnology at the University of Verona and obtained a PhD in Biological Sciences at the University of Oxford.